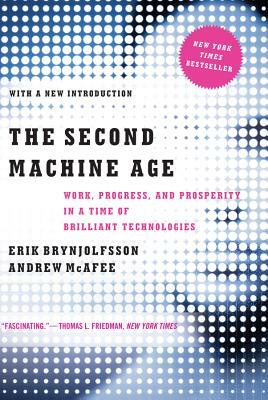 In The Second Machine Age MIT's Erik Brynjolfsson and Andrew McAfee--two thinkers at the forefront of their field--reveal the forces driving the reinvention of our lives and our economy. As the full impact of digital technologies is felt, we will realize immense bounty in the form of dazzling personal technology, advanced infrastructure, and near-boundless access to the cultural items that enrich our lives. Amid this bounty will also be wrenching change. Professions of all kinds--from lawyers to truck drivers--will be forever upended. Companies will be forced to transform or die. Recent economic indicators reflect this shift: fewer people are working, and wages are falling even as productivity and profits soar.